It’s time for the monthly Mobile Update! This one may be a bit smaller than the last few as the only 2 active games I am playing at the moment are Pokemon Go and Dragon Ball Legends, but that also means I had more to accomplish in both. Without further ado, lets take a look. In Pokemon Go I caught 4 new Pokemon, Mr. 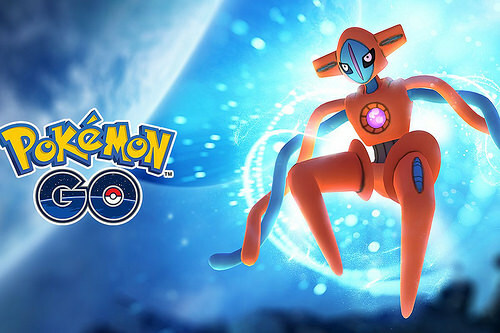 Mime, Kangaskhan, Unknown, and Deoxys. I now have 372/377 Pokemon in the game. I’m still missing a few regionals, but I’m one step closer to completing the dex. I increased my bag space to 1900 so I won’t have to keep filling up on items for a little while. I only caught 1400 Pokemon this time so a little less than usual, but I’ll get back on track for next time. I also maxed out Gengar and Houndoom to give my Mewtwo counter team a little more bulk. For the next update I should almost certainly have finished maxing out another 2 so keep an eye out for that! In Dragon Ball Legends I completed the new story updates to both the game original storyline and the DBZ classics which are now in the middle of the Android saga. I increased my Z level all the way from 44 to 57 so I was definitely quite active this time around. I obtained 9 new characters including Trunks, Pan, Super Saiyan 2 Gohan, Cell forms 1/2, Trunks, and 2 more Gokus. I also reached level 21 for the first time in the PVP mode when 19 was my old record. We’ll see if I can get any further along. 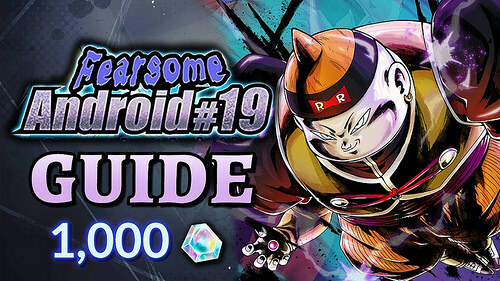 I increased Krillin, Yamca, Nappa, Zarbon, Raditz, Tien, and Saibaman from level 600 to 1000. I maxed out another Goku, Kid Gohan, Vegeta, Burtur, Android 18, and Super Saiyan Vegeta. So, definitely a lot of cool stuff there. I do like how unlike other gatcha games you can’t collect more than 1 of the same fighter. It’s something that makes this game unique and it feels a lot less overwhelming. We’ll see what else is in store for next time! Hopefully by then they’ve added the Arc 3 characters. It’s update time! This time only 2 games have any news to speak of, Pokemon Go and Dragon Ball Legends. The others have fallen to the side and are desperately awaiting reinforcements like RWBY in October. 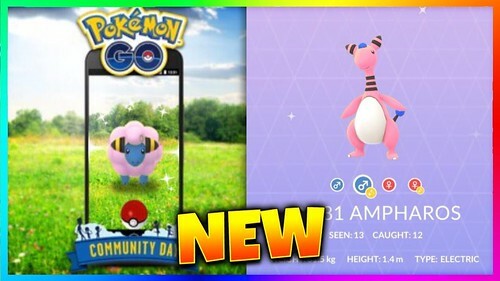 So this is a pretty small mobile update compared to usual, but it still has some hype stuff I bet! 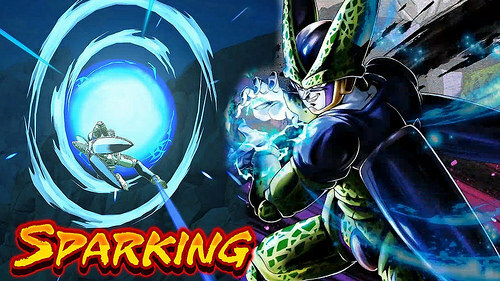 In Dragon Ball Legends I increased my level from 40 to 44. I obtained a few new characters including Perfect Cell, Imperfect Cell, Cabba x2, and a new Yamcha. I also maxed out a few more fighters including Final Form Frieza and Spirit Bomb Goku. Finally, I got Super Saiyan Vegeta to level 1000. Mostly the news was just level ups this time around, but more story levels have been added so you can bet that I’ll be going after those soon. In Pokemon Go I finally caught Celebi! Naturally that’s the biggest news in the batch. I also increased my bag space to 1600 so I won’t max out so easily. I also caught another 2000 Pokemon which seems to be my monthly norm. 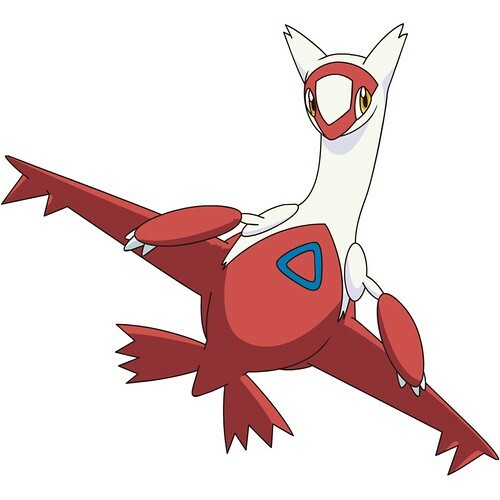 The only new Pokemon that I’ve maxed out this time is Latias. I am sitting on around 700000 stardust though so once I decide who to max out next I can probably do around 3 in a row. That’ll be hype! Currently the Regionals are running around in the eggs so hopefully I can catch them before they’re gone! That’s it for now folks. I’ll see you in October. I imagine that the next mobile update will be rather similar with Legends and Go pulling the weight but maybe one of the others will be able to contribute a bit more next time. I suppose only time will tell. I’ve now made it to Tier 100 in the Season 5 Battlepass! The reward for that was the epic skin shown above along with his trusty cape which can be added to any other skin. It was definitely a hype season and I can see why the game is so popular. The game came out of nowhere and already has over 200 hours of play time. It’s still got another 3 months of hype to go before Sm5sh comes in so expect that number to continue to grow. It’s time for the next Mobile Update! 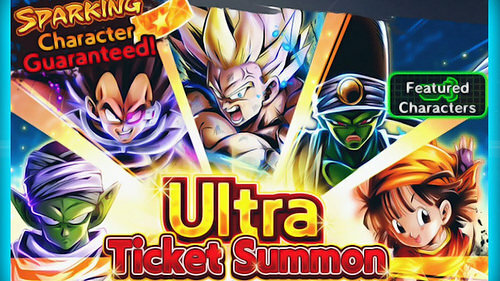 This time the bulk of the news is in Dragon Ball Legends which has been updating quite frequently with new story updates and characters. Pokemon Go consistently stays up as well while Fruits Mania and Lollipop saw a huge decline as I just haven’t played them much lately. I think those games are nearing their end. In Fire Emblem Heroes I got 2 new characters and I did beat the new story chapter. That’s got to count for something right? Yeah, this game definitely seems to be on its last legs, I need something cool to really whip it into shape! The new heroes were Jeorge and Olwen. In Lollipop I beat the next 7 levels and am now up to 675. Most impressive I’ll admit but that’s not much when you think about it. In Fruits Mania I beat the next 60 levels and am up to 516. This one is definitely gaining on Lollipop. 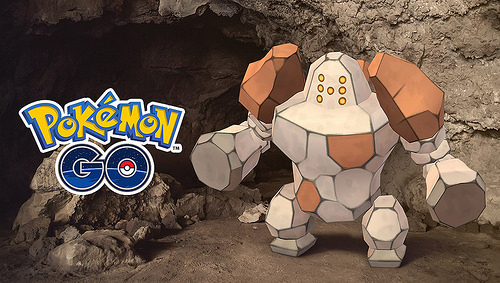 In Pokemon Go I finally caught Regirock! Now I can say that I have all 3 of the Regi’s. I also have Lunatone as well so I’m all set for Sinnoh. I now have 366/375 Pokemon. I only caught 2000 Pokemon this time around. I maxed out Vileplume, Snorlax, Breloom, Manectric, and Salamance. I also got Shiny Eevee along with all 3 of his base elemental forms. It’s definitely cool to see him doing so well. 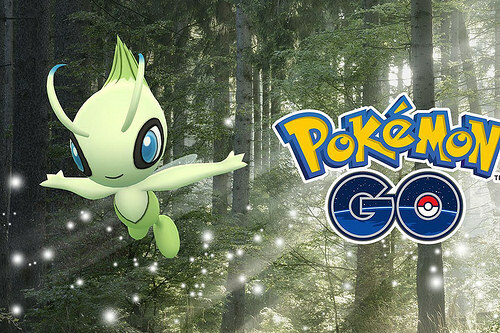 By the next update I should definitely have Celebi at the ready! In Dragon Ball Legends I’ve done a massive amount. I gained 12 Z levels and am now 40. I also got 16 new characters and am only missing 5 now. I’m at 62/75. I finished up the second part of the Main story as well as the Android 19 saga. I was able to get everyone to at least Level 600 while I also managed to get my top 3 to Level 1500 and another one is closing in on that. The story levels are becoming increasingly difficult but now I can say that I am absolutely ready for them! There were too many level ups to single out every character, but thanks to the EXP event I got well over 2000 levels when you count everyone. Probably more like 10,000 because it was over 300 levels per character with some going from 0-600 or 1000 to 1500. That’s it for this month so lets see what happens next time! I expect Dragon Ball and Pokemon Go will still have news but Fire Emblem Heroes probably won’t have any since I’ll probably give that game a break for a long while. Lollipop and Fruits will likely have something I suppose. It’s time for the July Mobile Update! This time around the list of games where I’ve made an accomplishment in are a little smaller as I don’t have to play Ladybug anymore since I 100% beat it. Most of the accomplishments are in Pokemon Go as per usual, but all of the others get their time to shine as well. In Fire Emblem Heroes I attained 1 new character. His name is Legault and that’s the extent of my Fire Emblem news. A new chapter has come out though so I’ll beat that pretty soon. In Fruits Mania I completed the next 49 levels and am now up to Level 456. This game is definitely starting to gain on Lollipop. The tides have turned, but we’ll see how far the progression is by next month. Now it’s time for the games with much larger accomplishments to step up. 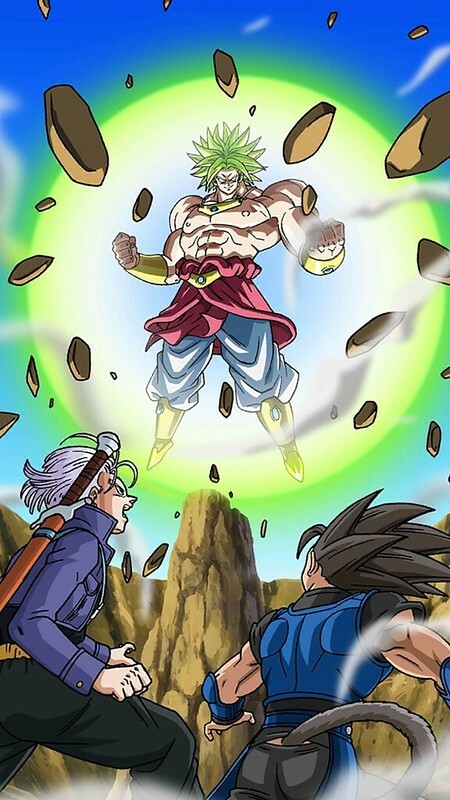 In Dragon Ball Legends I obtained many level ups and new characters. I increased my Z level from 22 to 28. I obtained 11 more characters and now have 45 total. I maxed out EX Goku and SP Piccolo to level 1000. I’ve also gotten just about every character to at least the minimum of Level 300 which maxes them out in the first tier. I haven’t played as much lately though so probably less news for next time. In Pokemon Go I finally got Heracross, Regice, and Registeel. I’m still looking for Lunatone but it’s only a matter of time. I’ve caught 6000 more Pokemon since last month which is considerably better than last time’s 3000. I maxed out Metagross, Raikou, Pidgeot, Slaking, and a few others along the way. At this rate maxing out everyone could actually happen someday, although it still certainly won’t be in the near future. It’s been a month so time for the Mobile Update! Quite a lot has happened across the various apps so prepare for a big one! The biggest accomplishments were probably in Pokemon Go and Dragon Ball Legends but most of the games pulled their weight this time around. In the Ladybug Adventures I have collected the rest of the stars meaning that I have achieved a perfect score on every single level. I also rounded up most of the stickers (Only missing about 10 but rng makes it very unlikely that I will get the rest) and even upgraded my Yoyo. I’ve essentially 100% completed the game at this point so I probably won’t have any updates for a while. The developers told me to stay tunes for updates though so maybe the game will get some more content soon. In Fire Emblem Heroes I have obtained 8 new heroes. They are: Sheena, Tiki, Lachesis, Julius, Ishtar, Soren, Possessed Robin, and Xander. Some pretty big names there now so that’s pretty impressive. My collection is currently 126/259 characters. I also completed the latest story update. Things aren’t looking good for the heroes as always. At this point I wonder if they will ever get to take this villain down! In Fruits Mania I completed the next 27 levels. They’re definitely getting trickier as that’s the slowest progress yet. I am now up to level 407. The fruits just keep on coming! In Lollypop I completed the next 65 levels. I am now up to 644. I’m definitely a lot closer to the goal here as I have crossed the halfway point. Most impressive I have to admit. I’m slowly getting there. Dragon Ball Legends has quite a few accomplishments since last time. I increased my Z level from 18 to 22. I obtained the next 4 characters so now I’m only missing 2. Level ups are quite easy so I won’t go into depth on any of those. Needless to say I have no character under level 130 anymore though and I finally maxed out one character, the main character Shallot at level 1000. The game’s definitely a blast and I hope they add more story chapters soon. 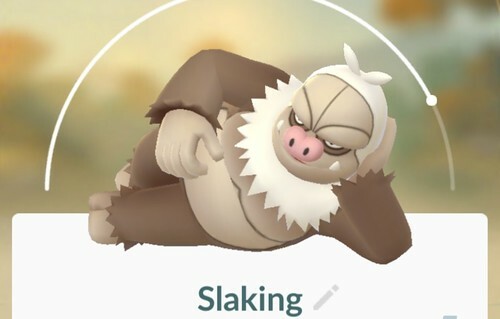 In Pokemon Go I finally evolved a Slaking. Now I have every Pokemon aside from Regional Exclusives and the Unknown. I also obtained a Shiny Tyranitar courtesy of Community Day. I maxed out Fearow and Rayquaza so those are 2 more Pokemon that I don’t need to worry about now. I caught around 3000 Pokemon this month which is pretty solid since that’s about 100 a day. It may seem like a small update next to some of the other titles, but I just won’t go into detail on every little thing. Hopefully we get one of the Regi Pokemon to show up soon. That’s it for this time! Some games didn’t have any updates since I don’t have them downloaded anymore like Sonic Forces, Tekken, 1010, Marvel’s Contest of Champions, and a few others while other games I still have but simply didn’t touch. (Sword Art Online) We’ll see how the list looks next month so stay tuned! It’s time for the monthly mobile update! In Fire Emblem Heroes I have obtained 6 new characters: Boey, Gwendolyn, Raven, CHROM, Nowi, and Soleil. 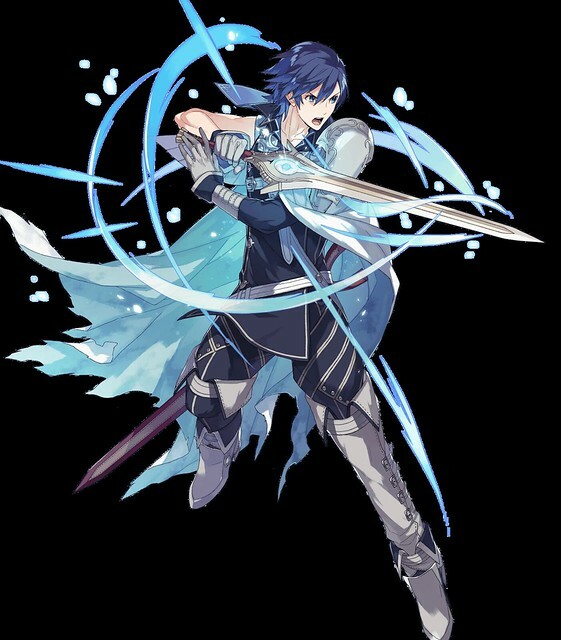 I’m only familiar with Chrom here, but naturally that was a pretty cool character to get. I now have 118/249 characters so that’s not too bad. Since I really just play when a new chapter is out I’ll never get too close to getting them all, but I’m pretty satisfied with where I’m at. I also beat the latest chapter of the story so I’m staying caught up. At this rate the arc is almost over since one of the generals has fallen. In Fruits Mania I’ve taken down the next 56 levels and am now up to 379. It’s been going pretty smoothly but naturally there is still a very long way to go before this game is complete. Around 700 more levels I’d say. 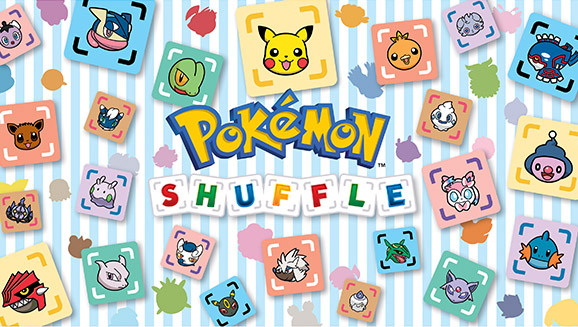 It’s definitely a pretty fun game for sure, although I do wish more of these mobile games would have a play time sticker on it. I’m always just so curious about that. In Lollypop I have completed the next 52 levels and am up to 578. It’s definitely got a bit of a lead on Fruits Mania, but the gap between the two always seems to stay at about the same level. Recently a new update added some levels to the game, but on this one I can officially say that I am over halfway through! In Pokemon Go I caught a Latias so now I have 360/370 Pokemon in the game! That’s the only new addition since last month, but I’m certainly working on finally getting that Slaking. I feel like this is the month where I will finally obtain it, but we’ll see if that’s the case. I did get a Shiny Charmander/Charmeleon/Charizard though so that was pretty cool. Meanwhile I also maxed out Golduck, Zapdos, and Nidoqueen. That means that I have now maxed out 30/184 of the unique Pokemon families. I have now spent 16000 berries at Gyms and have battles over 7200 times in Gyms. I only caught around 2000 Pokemon this month, but I don’t typically go out quite as much to catch them anymore. Typically I just get whatever is on the way to where I’m going. Other Pokemon that I’ve caught or powered up at a higher level but aren’t maxed out yet include Fearow, Dugtrio, Chansey, Rayquaza, Latios, Manectric, and more. I’m one step closer to being a Pokemon Master! 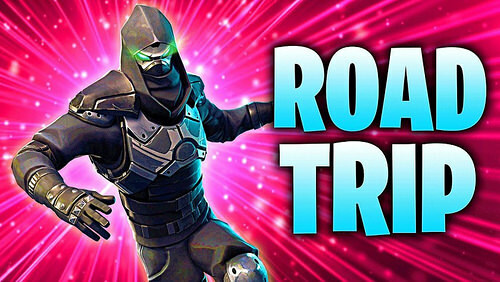 Time for another monthly Mobile wrap up! It likely won’t stay monthly as there typically won’t be enough news for it, but at this point there was enough accomplishments to warrant a new post. In particular the fruit games and Pokemon Go had a lot of news. 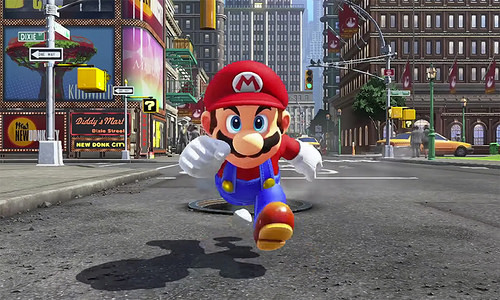 If there comes a point where no game has news aside from Pokemon then I will just do a Go update, but surely I can at least manage a level in one of the other games in the meantime. 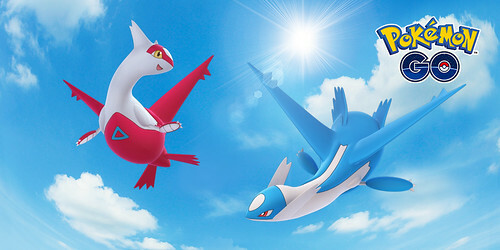 Hopefully we get Generation IV in Pokemon Go soon although most likely that wouldn’t be until July at the earliest. In Fruits Mania I have completed 110 more levels and am now up to 323. These levels seem a lot tougher than Lollipop though so I’d expect these numbers to really go down comparatively. Of course, it is at a 200 level deficit to Lollipop at the moment so I guess that has been the case. In Lollipop I have completed 107 more levels and am now up to 526. I’m roughly halfway through the game now which is pretty cool. In Fire Emblem Heroes I have obtained 4 more heroes. I now have 112/239. I also completed the latest chapters in Book 2. The plot’s going along quite slowly so I doubt they plan to end the campaign anytime soon. I don’t really play the game anymore aside from the big story updates so my character additions will slowly start to fall to 0. In Sonic Forces I haven’t gotten any level ups since last time. Naturally the main bulk of the update is Pokemon Go. I have caught Latios now and every Pokemon in the game (Not counting Regionals and Unknown) aside from Slaking. I am walking him now though so hopefully by the next update I will have completed my collection. Meanwhile I got a Shiny Mareep and maxed out my Donphan and Venosaur. I figured I’d just do a general Mobile Update instead of one for each game to save time. I’ve accomplished quite a bit in all 3 so here goes. In Sonic Forces I have risen from Level 7 to Level 9. I have also risen to Tier 3 in the Online Rankings. 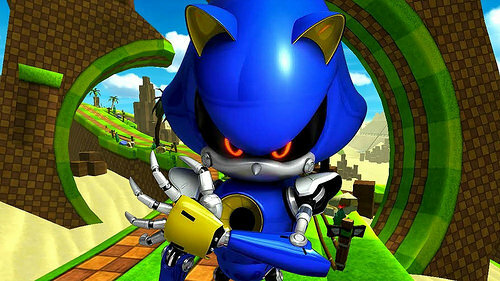 I have unlocked Metal Sonic and Vector so now I have 12/15 of the characters. I have leveled up all of my fighters as well so that game is going pretty smoothly. In Pokemon Go I have caught 50 more Pokemon since I last updated the stats on the blog. Among those I have finished off everyone in the first two regions aside from Unknown and Regional Exclusives/Ex Raid Pokemon. In Hoenn I am roughly halfway. I have caught Groudon which was pretty awesome and have maxed out almost 20 different Pokemon. I also have a Blaziken now so you can bet that I will be using him quite a lot. I aim to get him to at least 100 wins. In Fire Emblem Heroes I have obtained 24 new heroes. Among them I now have Marth, Fjorm, Cain, Michalis, Robin, and more. I have also completed all of the current chapters of Book II. I wasn’t too specific with this update since each game had quite a lot of progress. In the future when the games have slowed down I”ll try to list exactly which new fighters/upgrades I’ve gotten for the games above. I just gotta keep on grinding and improving!